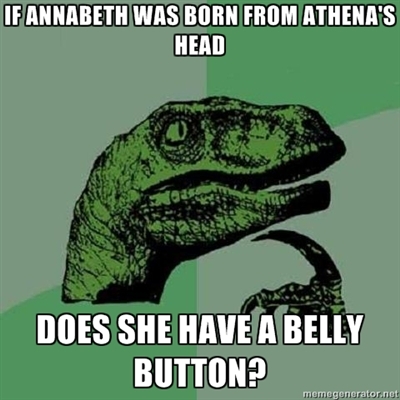 Annabeth's Birth... (Meme). . Wallpaper and background images in the The Heroes of Olympus club tagged: percy jackson annabeth athena birth born funny meme fanart. This The Heroes of Olympus fan art might contain gehoornde chameleon, chamaeleo oweni, gehoornde kameleon, kameleon, chamaeleon, afrikaanse kameleon, chamaeleo chamaeleon, and chamaeleo kameleon. omg! lmfao! even a reptile can figure that out! XD How did I never even think about that before now! ?